This is a process that is almost the same as the peach and bourbon jam project that we posted last year except this time we will use strawberries and Chambord. It is strawberry season in Georgia, and as such we are celebrating the occasion by making homemade strawberry jam just like your grandmother used to make, that is if she had a taste for a little moonshine. 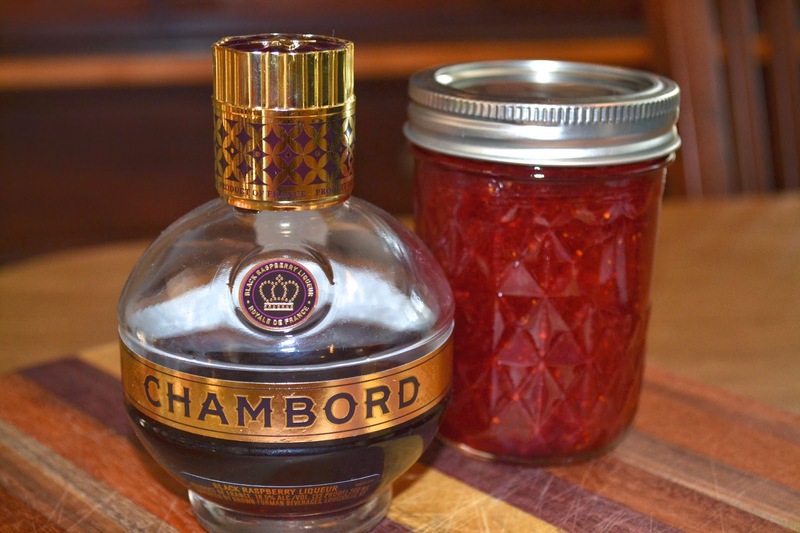 We are going to make both a traditional jam, and we are going to make a batch or two that has Chambord in it. First a little bit of info on the difference between jam, jelly and preserves. I didn't know so did some looking around. First, jelly is made from fruit juice. 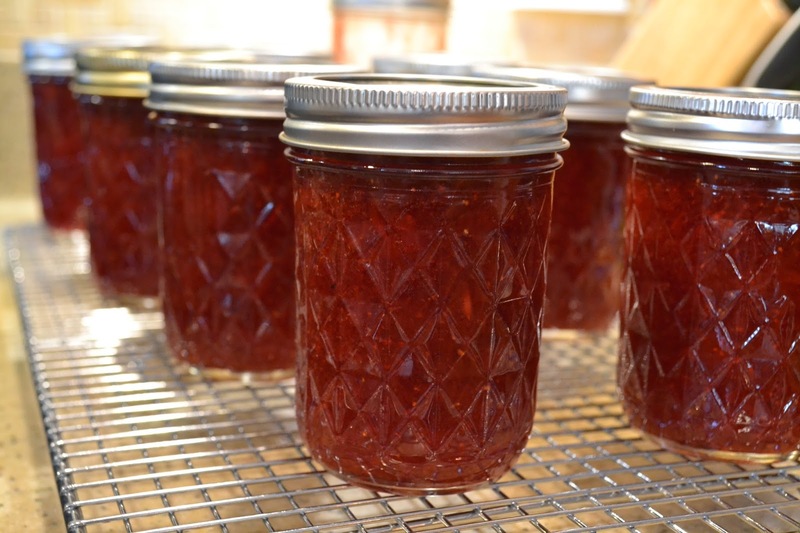 Jam is made from crushed fruit and finally preserves is made from larger chunks of fruit or jam. So we are making Jam. Who knew? We purchased a book on canning by Ball, the jar manufacturer, and it was used as our primary research: The Ball Blue Book guide to preserving. 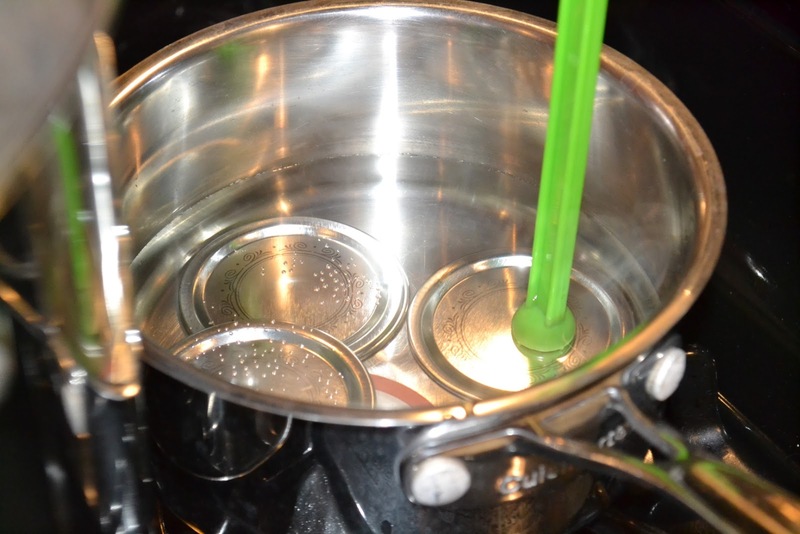 We also purchased liquid pectin, jars, a basket to keep the jars from touching the bottom of the hot water bath, a kit that contained a jar lifter, funnel, and a magnet on a stick that helped with fishing lids out of nearly boiling water. Oh, and let's not forget the ingredients. 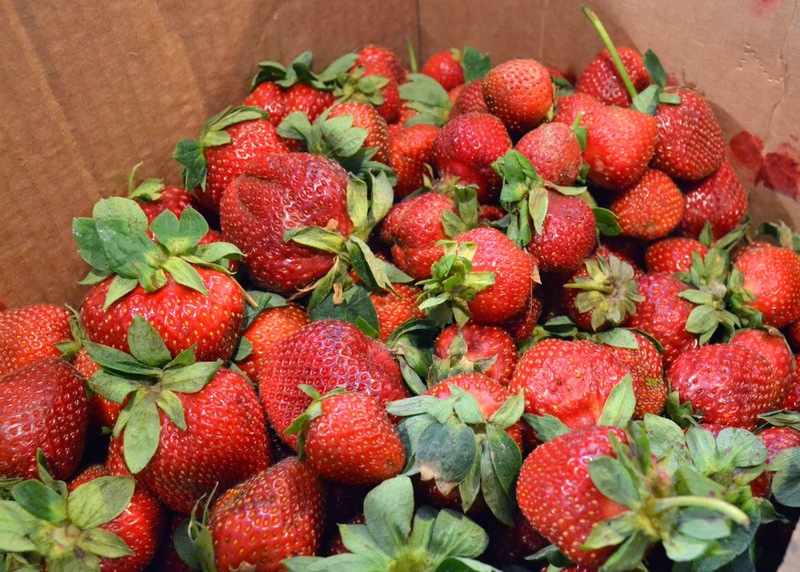 We purchased a box of fresh strawberries from the local farmer's market, a 25-pound bag of sugar (yeah, jam has a lot of sugar in it), lemon juice and the liquid pectin that was mentioned previously. We also used a little Chambord. Note that it takes 8 cups (3 quarts) of strawberries to make 1 batch of 8 half pints. Blindly follow the directions in the Ball Blue Book. Because we have done this once, see our post on peach jam - the process is similar and so you will see some repeat photos and language. The canning process is the same. We then learned it was best to go ahead and get the big pots of water on the stove and heating. This much water takes a long time to get boiling. 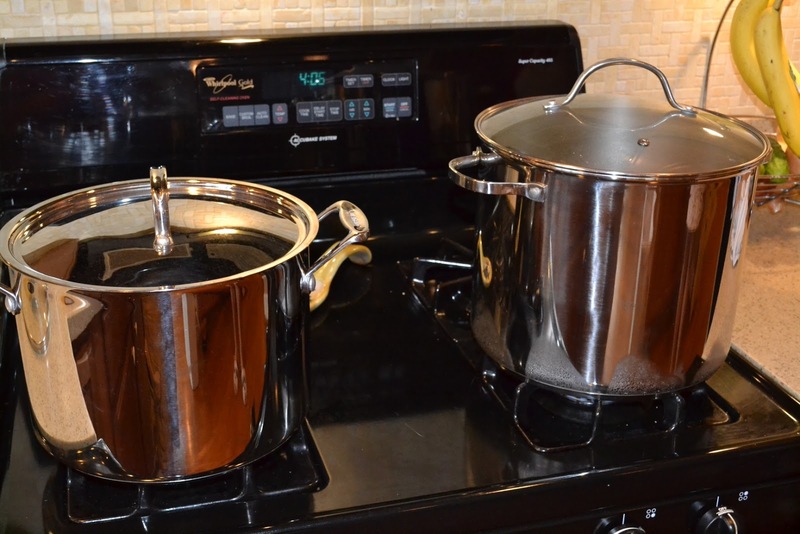 You need one pot to keep the jars sterile until they're ready to be filled, and you need another pot that will be used to boil your filled and sealed jars. 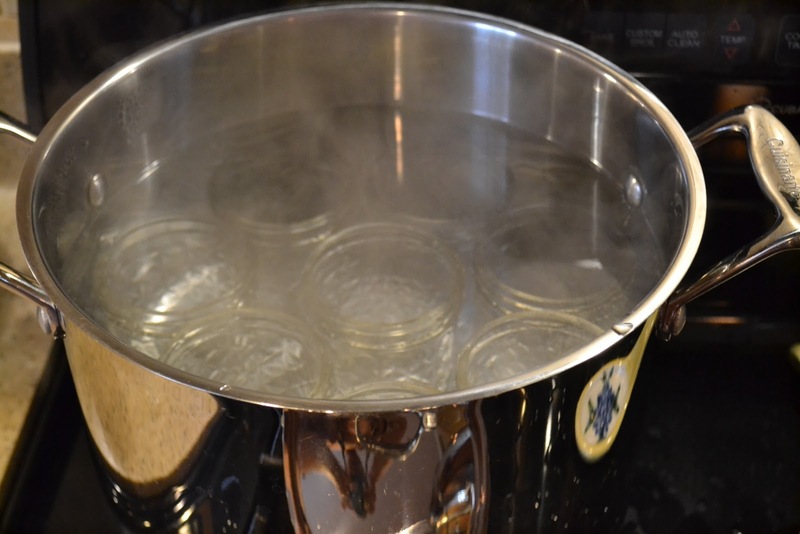 Once the water gets hot, go ahead and put the basket in the bottom of the pot (to prevent the jars from touching the bottom of the pot), and then put the jars in to get them to boiling temp. You shouldn't boil the lids. They should be at 180 to prevent damage to the seals. Ok, now that everything is heating, it is time to get the jam ready. A pretty simple process. Core 8 cups of strawberries. As an update. 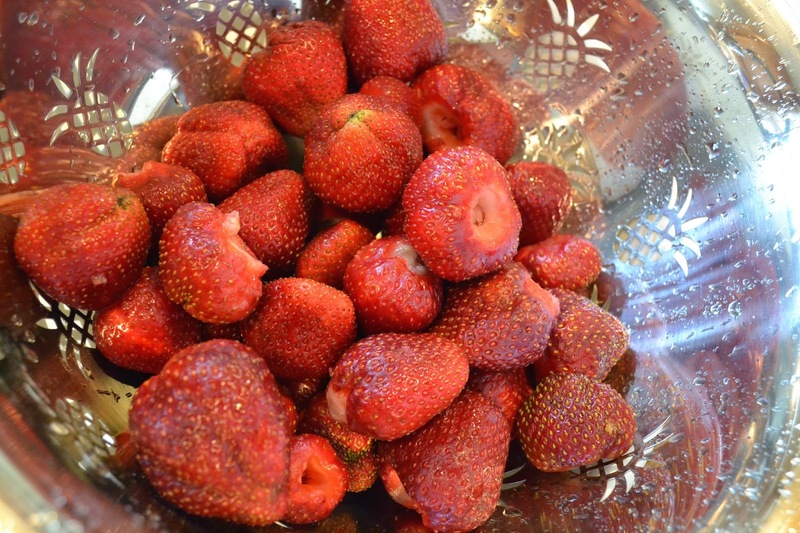 We have continued to refine this recipe and would like to clarify that we use 3-3/4 cups of crushed fresh strawberries-7 cups of sugar-1/4 cup lemon juice and 2-3 oz containers of ball liquid pectin. 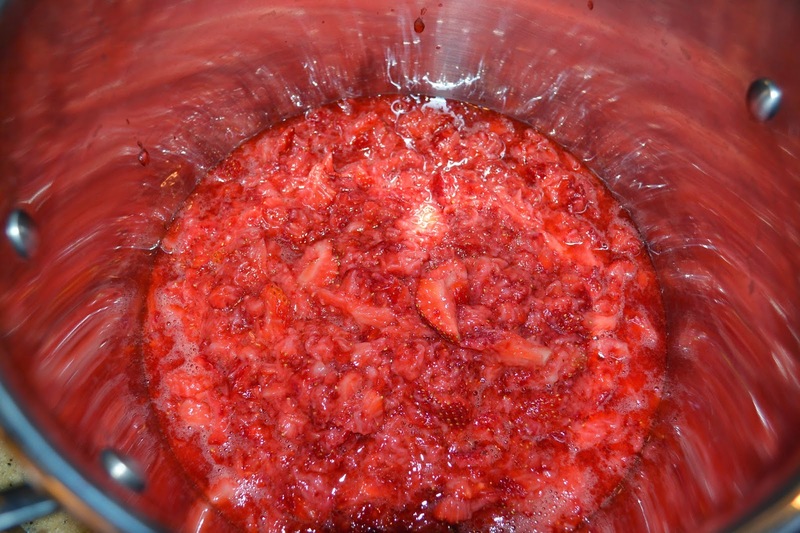 Boil the strawberries and sugar and lemon to 215 degrees and then add the pectin. Then measure out 7 cups of sugar. 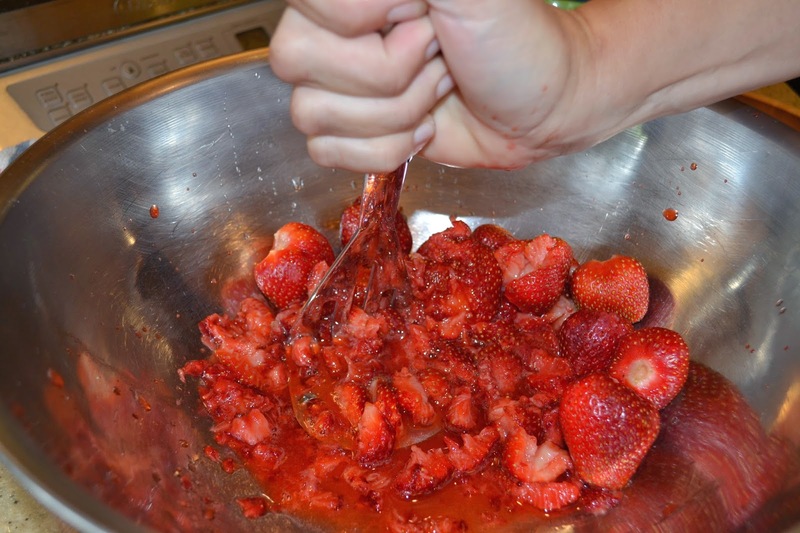 Once the strawberries are boiling then add the sugar and 1/4 cup of lemon juice in a sauce pot. 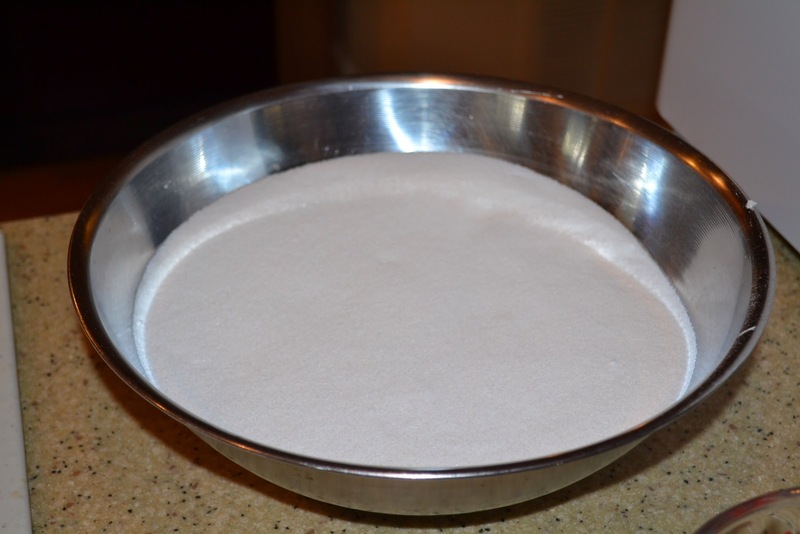 Note: There are different types of pectin (powdered, liquid, low-sugar), so be sure to read your recipe closely and use exactly the type of pectin recommended for your recipe. Now it is finally time to get them in jars. 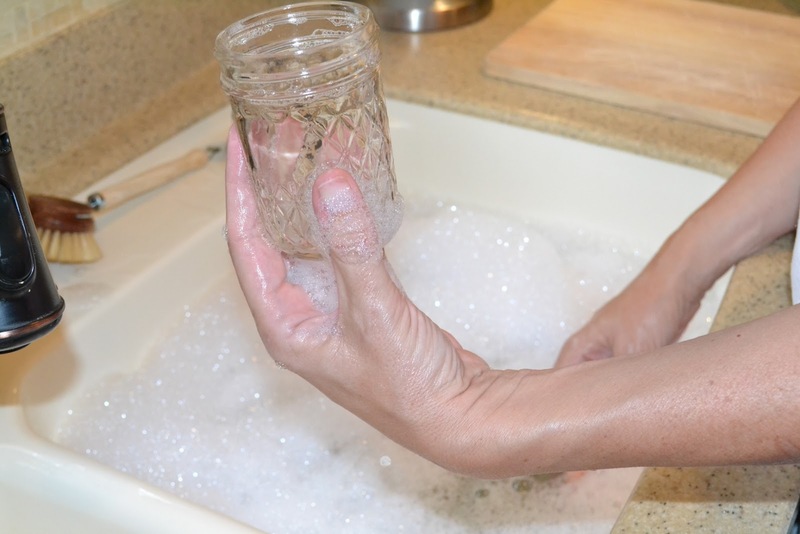 Remove a jar from the hot water bath. 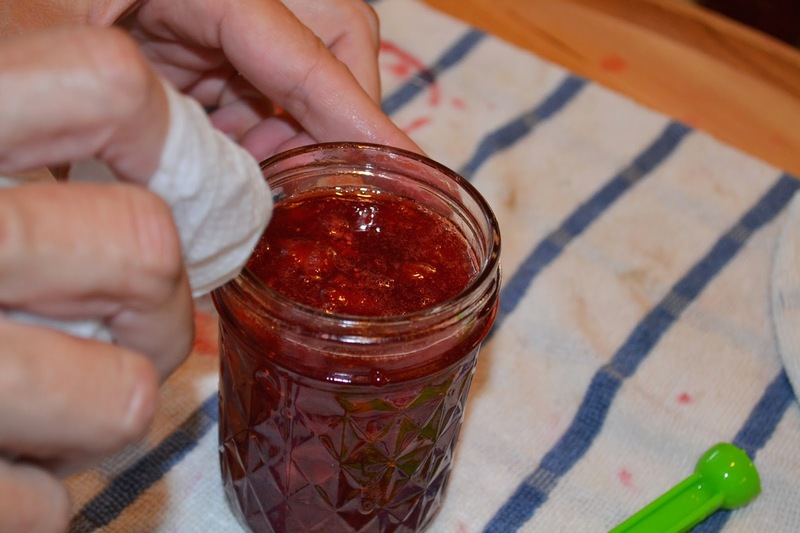 Using the funnel in the kit, ladle in the jam leaving 1/4" air space between the top of the jar and the jam. Carefully wipe the top of the jar with a moist clean towel to make sure no food product is on the sealing surface of the jar. 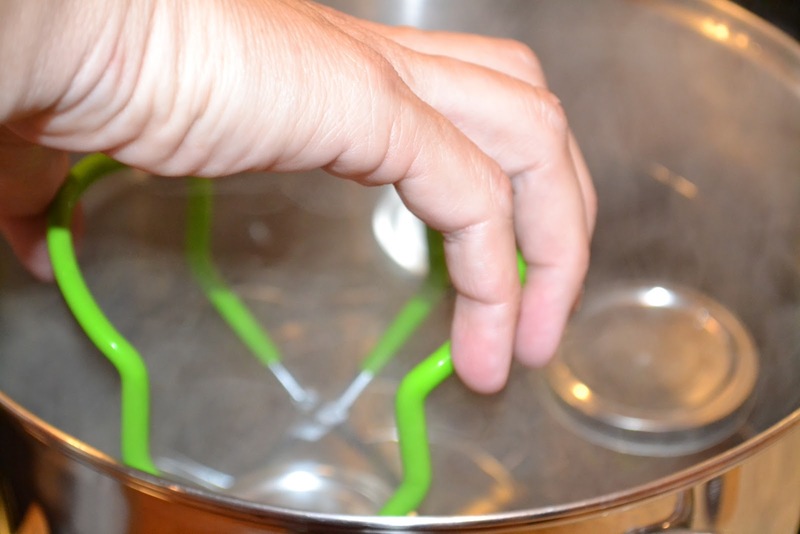 Then pull a lid from the hot bath with the magnetic stick and place on the jar. Screw on the lid to finger tight. Then return the jar to the preserving pot using the jar lifter that came in the kit. Our jar lifter had a jar contact surface that was made from plastic and it almost immediately broke off. 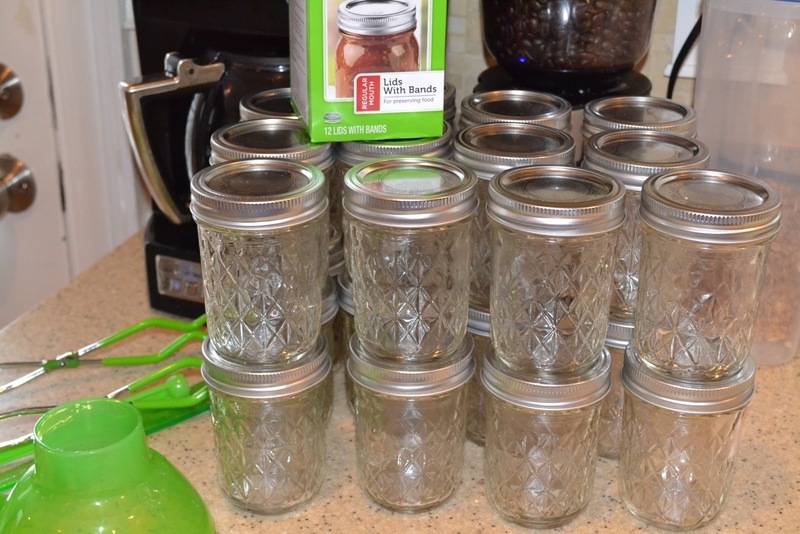 I spent the remainder of the evening worried that the metal-on-glass jar lifter would result in some dropped jars, but it seemed to hold up fine and we didn't drop one. One the big pot was loaded with jars, we turned up the heat to boil them for 10 minutes. After 10 minutes of boiling, remove the pot from the heat. After a few more minutes, we pulled the jars and placed them on a wire rack to cool. After 10 or 20 minutes the seals began to pop as they seated. The following day we checked the lids for a good seal by removing the screw cap and gently pulling on the cap with your fingernail to make sure it wouldn't come off. We also checked to make sure the lid top was sucked in and could not be pushed in. Finally, we also checked the jam consistency to make sure they set up correctly. We turned the jars sideways to see if the air bubble would travel in the liquid. This time we didn't have any that didn't set up perfectly. As previously mentioned, this is the second time we have made jam and this time it seemed to go much quicker and smoother. It also helped that this time we only made two batches and that seemed much more managable. The jam is delicious and we love sharing it with friends and family. Funny how everyone is blown away by how good it is. We think it may be because we have settled for the store bought varieties and they aren't necessarily the best tasting or freshest product. They are engineered to be stable, to be repeatable and to have an unlimited shelf life, we have forgotten what true jam made with real sugar tastes like. Do yourself and your friends a favor, make this.